The effects of pathworking are to greater or lesser degree well documented. Once the basic concepts of what each sphere represents in terms of psychological elements on the Tree of Life is understood, then the links which they form are realized either through ritual, mythological metaphor, meditation, or a combination of the above. However, in the rush to realize magical powers, altered states of awareness, celestial beings, and interior worlds, one of the most significant and important facts of pathworking and all magical work in general is often overlooked. The majority of all so-called magical, mystical, alchemical, or esoteric work, as much as 90% of it, is nothing more than glorified psychotherapy. In fact few people stay with any system long enough to realize the genuinely spiritual aspects of the Work they are doing. The need for genuine self-honesty and purification on the level of the ego and the repressed areas of the subconscious, before the refined and powerful forces of the soul can shine freely and effectively through the ego and not be overly distorted by it, must be recognized by students if they are to derive full benefit from the Work they are doing. To this end, the following examples of cabalistic path working are being given, as well as possible psychological benefits as well as pathologies which their working (particularly out of sequence) can evoke within the psyche of the operator. While no single path is ever worked exclusively, only realized as such by our outer self (i.e. ego), the effects are seen predominately when particular paths are undertaken as ritual or esoteric operations. The paths are numbered in a working sequence for a reason, it is best to follow that sequence if disharmony and psychic disruption is to be held to a minimum. Each of us carries within us the seeds for healthy and unhealthy uses of the forces we are made from and contain. Whenever we approach a particular sphere of spheres, we also approach their reflection in the qlippoth, as the qlippoth are nothing more than imbalanced force or an excess of a particular virtue, so much that it becomes a vice. Dr. Israel Regardie1 stated that it is important for the would-be magus to undertake psychological counseling prior to, or as an adjunct with, esoteric training. Unfortunately, this is rarely done, and few psychotherapists are qualified to undertake the dual task of mental health clinician and initiator. The reverse is also true of many would-be initiators and their qualifications, or lack thereof, to be a valuable psychotherapist. A true psycho-therapist, or healer of the soul, is as rare as a genuine psycho-pomp, or guide of the soul. This abyss is made even larger by the failure of esoteric movements to place enough emphasis on personal growth, and the therapeutic community’s failure to even attempt to understand the experiential significance of ritual and the possible legitimacy of esoteric practices. While many therapists and esotericists are familiar with the writings of Carl Jung and have applied them in some form to their respective work, the realm of therapy that is most important to esoteric students during practical alchemical and ritual work is more closely akin to Freud than Jung. Depth psychology is often overlooked in the rush to the mountaintop, and Jung has been gutted by many of his would be advocates of his psychoanalytical content. Yet even both of these systems combined will only give a glimpse into the interior worlds, as they lack effective techniques for the kind of initiation that most esotericists seek. Despite this lack of effective interface between the parent art and science of occultism and its insolent step-child psychology, some inroads have been made to bridge the gap both in terms of technique and theoretical understanding. The most effect to date being Psychosynthesis, as outlined by Roberto Assagioli, Piero Ferrucci, and Jean Hardy. Peter Roche de Coppens, Ph.D. (The Nature and Use of Ritual for Spiritual Attainment, 1985; The Invisible Temple, 1987) has begun an effective synthesis and comparison of the effects of basic cabalistic work and its relationship to Psychosynthesis, however, a look at the effects of Pathworking as explained in any psychological framework or school appears to be lacking. “I am a child of the earth and of starry heaven, but my race is of heaven.” — The Hymn of Orpeus, cont’d. The fundamental premise behind Psychosynthesis is that we must first construct, purify, and then surrender our sense of self (ego) if we are to realize our spiritual nature as expressed in transpersonal and humanistic psychology. We posses within us several overlapping and interpenetrating fields of awareness. One of these fields represents our repression, feelings of fear and guilt, libidinal (sexual-psychic-creative) drives, and other forces that risk bringing chaos into our world, as well as power, if directed and controlled. This is our lower unconscious (Yesod and Elemental forces). We also posses a field of middle unconscious (traditional subconscious) into which we have our imaginative facilities, memory, and ready access information needed for daily live (Chesed-Yesod). A higher unconscious, or superconscious (Keter), which is the transpersonal or genuinely untainted spiritual aspect of our awareness. And a middle area of awareness around which all of this stuff revolves, or sense of self the “I”. Outside of it exists the collective unconscious (Binah-Hockmah) of our clan, nation, world, and all of creation. Then there is the Self, or Higher Self (Tiphareth), which we seek to express in and through the little self, and in the functions of the various levels of our unconsciousness. These levels are designated as unconscious for the obvious reason that they exist and function within our psyche regardless of whether we are aware of them or not. We only become conscious of the effect they have in our lives when we seek to break through the layers of external conditioning that have been used as reference points for our sense of being. This movement from psycho-spiritual sleep to wakefulness is the Work of the initiate. The results of its successful completion, or at least working completion, can be seen in the expression of a powerful, harmonious, intuitive, and creative personality that is generally unaffected by the petty, worldly entrapments that seek to draw us away from the powerful resources of our central Self. As the self (created by the world and our response to it) is progressively undone and reconstructed so that it may identify to greater degrees of efficiency with the Self, conflicts arise and are resolved. When Self and self become, even if momentarily, a functioning conscious unit, then the opportunity for even greater influx of Light, Life, and Love come through turning our attention to the realms of the super conscious (Keter). This however, would constitute the Work of the Paths above Tiphareth, and the 13th Path in particular, as part of the Middle Pillar exercise. How one makes these attempts at parallels between the Tree of Life and psychological models such as presented by Psychosynthesis is somewhat arbitrary. Exact matches across the board rarely occur. Function is what designates similarity, and function in Kabbalah is often a matter of perspective more than anything else. Several models exist for placing the Worlds on the Tree as well as their psycho-spiritual functions. The models put forth by Z’ev ben Shimon Halevi are quite different from the generally accepted Golden Dawn models of the psyche. However, since it is these models, derived from interpretations of late 19th and early 20th century British occultism that most students are familiar with, it is their designations of the Worlds and Sepherotic functions that will be applied. In Hardy’s work, A Psychology with a Soul, these areas of consciousness are examined in light of he traditional hermetic methods and kabbalah. Ferucci in What We May Be takes his mentor, Assigoli’s thesis, and explains consciousness in laymen’s terms, devoting substantial material to the pathologies that can arise in psycho-spiritual work. “This you know. I am parched and perishing.” — The Hymns of Orpheus, cont’d. “Whoever acts like an angel makes a devil of himself.” — Pascal. While the four major existential fears of annihilation and death, responsibility and freedom, aloneness, and meaning, (Existential Psychotherapy, Yalom) are the fears most deeply rooted in the ego (Assiah/Malkooth) and can be said to be a result of the transient nature of the Elements from which it is created, these conflicts are not the result of internal instinctual strivings, or of encounters with our internalized images of significant adult authority figures during the infantile stage of our development (as in Freudian work), but with inescapable givens of our existence in the world. (Yalom, p. 8) The pathological responses to psycho-spiritual work, that is work that seeks to reshape and reform the outer for the exposure and glorification of the Inner, is more deeply rooted in our interior impulse of involution, the very force and cause of our ‘descent’ from potential being into creation so that we might ascend and become an actualized Being. In What We May Be, Ferucci describes seven basic forms of spiritual pathology, or psychological dysfunction which may occur during periods of psychological integration and awakening of consciousness to spiritual realities. While it would be easy to suggest that each of the following forms of dysfunctional response to the awakening process can be assigned to either a planetary or sepherotic function, in truth, they may occur at any time, and more likely have their occurrences during the Paths more than the Spheres. It may seem strange that someone who has entered onto a spiritual path, or at least one of self discovery should seek to avoid the very thing they are seeking. However, the human ego is a strange and complex creature, and like any living organism, often fights change. As new energy and expanded awareness is experienced and increasingly rooted to daily life, the ego and all that it has built up begins to feel threatened. The new ways of living, feeling, praying, loving, and being are so different, even if in reality they are only minor initiations so to speak, from the ego’s perspective, they might as well be an intrapsychic coup d’etat! However, as Ferrucci states, journeys into the Inner Worlds are not without their own dangers, even into the higher ones. This is not meant to detract from the genuinely ‘magical’ results that can occur from esoteric exercises, but instead to show that true spiritual development can only occur in a conscious complex where psychological health exists. Until the vehicle is made ready, everything is just ‘house cleaning’. “Give me cold water from the lake of memory.” — Hymn of Orpheus, cont’d. The relationship between esoteric Pathworking and childhood fairy tales is well established. However, in our quest for individuation, self-reliance, and separation from our parents, social rules, and religious-sexual taboos and restrictions, we abandon our childhood means of development for a more active one in the material world of experience. To guide us in picking our experiences, we leave behind our old fairy tales and chose new ones, be they the modern mythologies of Star Wars and Star Trek, or soap operas of a different sort, such as the long running shows of Dallas, M.A.S.H., or similar movies or musical themes. While most entertainment offers little genuine entertainment value and is mostly designed for the absorption of our life force and time, all forms of story telling offer a moral lesson and cosmological view whether we realize it or not. The view of the universe offered in Star Trek is slightly different than Star Wars in that it has yet to answer certain existential question and address the spiritual question sufficiently. Star Wars on the other hand from the beginning offered us ‘the Force’ and introduced two generation to the ideas of spiritual warriorship, our personal and collective Shadow (Dark Side), redemption, and the unity of creation as an experiential reality, and not just an abstraction of quantum physics. The same is seen, or heard, in the endless tales of suffering, failure, alcoholism, and neediness in country and western music, or the unrequited love in jazz and blues, turning towards drugs and alcohol as a result. Rap and heavy metal offer their own metaphors, cosmologies, and world views as well. In short, all that we watch, listen to, and participate in has the potential to be a path working on some level. 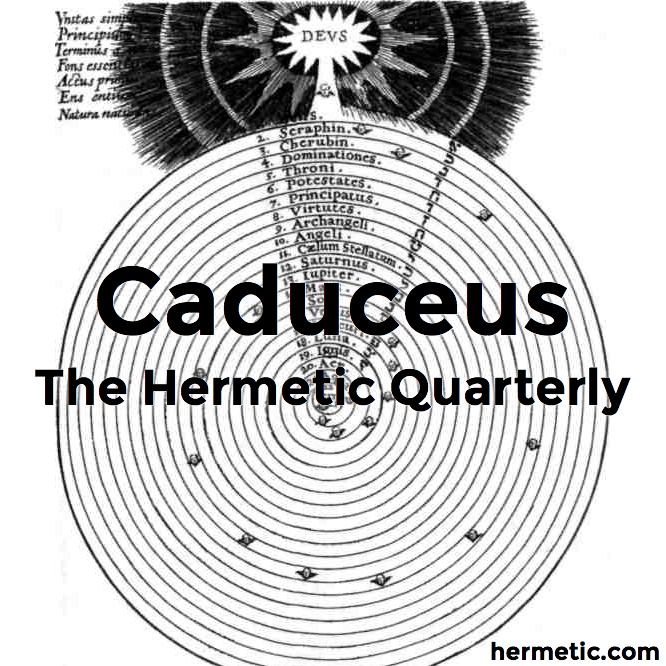 However, what separates such randomness and potentially harmful psychic exchanges, is that cabalistic Pathworking is organized, progressive, and ultimately transpersonal oriented. The function of these esoteric, or psycho-spiritual, exercises is to make us aware of a broader sense of what we are, and what we may become if we so desire it. They are to assist us in fulfilling the Greek adage, “Know Thyself in order to know the universe and the gods!’ In our ‘becoming’ the alchemists claim, we realize that we are in many ways self-created beings. Much of what we do, are, and experience, we are directly or indirectly responsible for, despite our cries to the contrary. We are as the golden adepts say, a ‘son of his works’. 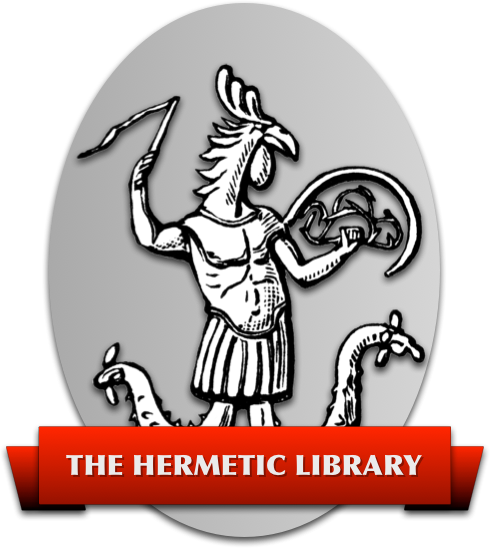 Until this century, the most common method of esoteric learning was either through a teacher-student relationship, or affiliation with an esoteric lodge. The principle means of instruction and initiation was often ritualistic, and would involve one or more persons who has experienced ritual or its equivalent previously. The initiator, and/or initiatic team, would proceed to create a condition wherein the energies of the psyche would be awakened and brought to the surface of consciousness. However, for this to work effectively, it requires that those energies being awakened in the initiate already be alive and well in the psychic body-consciousness of the initiator. This is a critical point, and the failure of this condition being met, is the principle cause for esoteric initiations as a whole being of questionable value. These sudden flashes of insight and alteration of consciousness can in some instances be called initiations, some being minor, and others more significant. Unfortunately, the concept of initiation in esoteric circles is filled with many misconceptions, and in psychology, it has no equivalent term or phrase, although several might be suggested. The writings of Von Durckheim combine depth psychology, Christian mysticism, and Zen practices in such a fashion as to allow for the realization of one’s interior life with Christ, a purpose in harmony with both Psychosynthesis, and tradition Western esoteric Pathworking. His writings are a significant contribution to this area, even though they use the language of orthodox Christianity, and are a valuable tool for bridging this gap between psychology, mysticism, and even esotericism. “They will give you water from the sacred spring and you will live a lord among heroes.” — The Hymns of Orpheus, concluded. The ‘+’ or ‘-’ notation after each Path designates that Path as one which ‘returns’ energy to the initiate's consciousness (+) on the Path of Return up the Tree of Life, or does not (-). Those Paths which return poser can be seen as more active and energetic in orientation, those which do not, more passive and reflective in design. In reality, each combination of psychological potentialities, or pathworking, returns something to the consciousness of the mind traveling them. Returns is not even the proper word, for such qualities have always existed in the soul, but only in potential. It is through the experiences of life incarnate, and the desire, the need, to make sense of it through psycho-spiritual philosophies, techniques, and initiations, that it becomes a reality, or actualized in our consciousness. Those who have done esoteric work, particularly kabbalah, will find that in the beginning the Sphere and Paths are very rigid entities. However, as one works with them, and they become internalized, they become more fluid and interrelated on a level that cannot be expressed in words. It is these progressive interior experiences that allows one to experience levels of spiritual initiation. We say that these initiations are part of progressive interior experiences. This designates the psychological, the mystical, the genuine transpersonal aspect of growth from the purely sensational. The experiences undertaken by students of the kabbalah, alchemy, or Psychosynthesis, are progressive. That is they build on the previous experiences and have a direction or purpose. They are interior states, in that they are wholly personal, even if experienced in a group or in the presence of others. They may match the descriptions given by others in traditional writings, but are the ‘property’ of the one who experiences them. They are an internal response to the pleadings of the self for expansion and integration. They cannot be experienced for another, not given to another, except by highly integrated individuals known as adepts. Even then, the gifts is just the psychic equivalent of a ‘jump start’ as one does to a dead or weak automobile battery on a cold day. They are also as the word says, experiences, not thoughts, ideas, conjectures, or philosophical postulations, but experiences often of a profound and energetically charged nature. The Paths are thirty-two in number, ten belonging to the Spheres and twenty-two to the connections between them. They are arranged in hierarchical order, ranging from the most dense (32) to the least dense (11). In the order given here, the names of the sepheroth have been substituted with their planetary equivalents for those who are unaware of traditional kabbalistic terminology. Previous | Top | Index | . . .